The Larson Electronics MPD-20C-4803-75KVA-1X2083.30A-2X2082.30A-8X120.20A power distribution substation converts 480V three phase electrical current into three phase 208V and single phase 120V. This unit provides operators the ability to safely tap into and distribute 480VAC power from a variety of sources including generators and direct grid power. Portable Power Distribution Purpose and Use The MPD-20C-4803-75KVA-1X2083.30A-2X2082.30A-8X120.20A portable power distribution system gives operators the ability to power their 208V and 120V equipment from a single system. On the primary side, operators connect 480 volt using a 20` #4 Type W line-in cord. 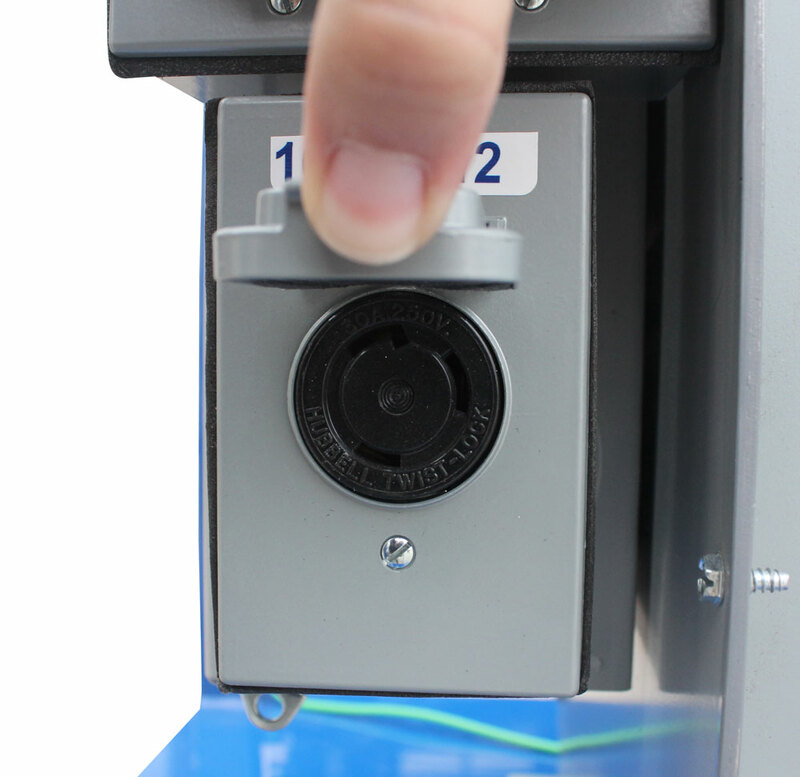 On the secondary side, operators connect to one L15-30R receptacle for three phase 208V equipment, two L6-30R receptacles for 208V single phase equipment and eight GFCI duplex outlets for 120V single phase equipment. Operation: A 20` #4 Type W line-in cord brings 480V three phase power to the NEMA 3R 100-amp, 480V three phase primary disconnect, which contains two 80-amp time delay fuses and passes 480V three phase through to the transformer. The NEMA 3R 75KVA transformer converts 480V three phase power to 208V three phase and 120V single phase, and passes the current to the secondary panel. 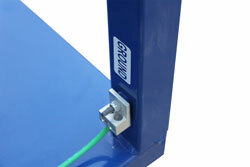 The secondary side of the transformer feeds a NEMA 3R 225-amp, 208Y/120V three phase main lug panel. This secondary panel contains one 250V 3-pole 30-amp breaker protecting one 30-amp L15-30R receptacle, two 250V 2-pole 30-amp breakers protecting two 30-amp, L6-30R receptacles, and eight 125V 1-pole 20-amp breakers protecting eight 20-amp GFCI duplex outlets. All receptacles are equipped with weatherproof covers.